Zapier is an automation service similar to IFTTT (IF This Then That). Zapier regularly checks for a trigger on the apps you’ve chosen, if the trigger occurred Zapier will perform an action or even multiple actions. What does Zapier have to do with Elementor? One of the most powerful features of Elementor is its Form widget. With this widget, you can create forms and start collecting leads on your site. This is a crucial step for any growing business. The collected leads can be automatically adding to email marketing automation and CRM services that have already been integrated to Elementor. These include MailChimp, MailPoet, ActiveCampaign, Campaign Monitor, GetResponse, Drip, and Hubspot. You can also set the forms to integrate with Zapier, thus connecting them to the over 1000+ services that are hooked to Zapier. The process of connecting Elementor forms to Zapier is a bit longer than the usual integrations. It includes creating a trigger in Zapier from Elementor. Once an Elementor form is sent the Zapier trigger is fired. After this, the action or actions are made, causing the form submission to enter the integrated service. This two-step process of creating the trigger and action is all done with Zapier, and in the following steps, you will learn just how to set this up. Your first step is to create a 'Zap' in Zapier. A Zap is a blueprint for a task you want to do over and over. In words, a Zap looks like this: "When I get a new thing in A, do this other thing in B." 1. 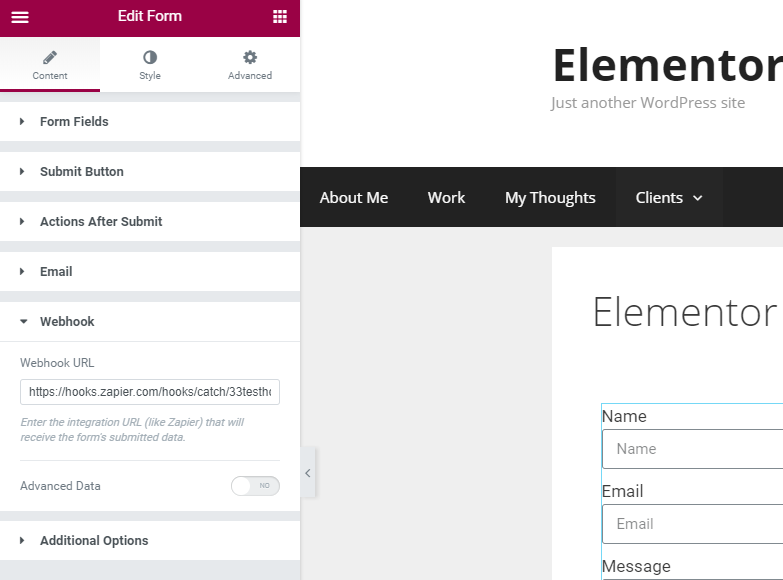 Go to your website, and inside Elementor, edit the form you want to get integrated to Zapier. Under Actions after submit, add Webhook. 3. Save the page, and go to the live version of the page. Now, submit the form. This sends the Webhook to Zapier, to confirm the hook we created. 4. Back in Zapier, click continue. You should get a 'Test successful' notice. In this part, we create the action that follows our trigger. As a reminder, the trigger is the Elementor form submission. Let's choose one of the 1,000+ apps to show how to add the action to Zapier. I'll go ahead and choose MailerLite. 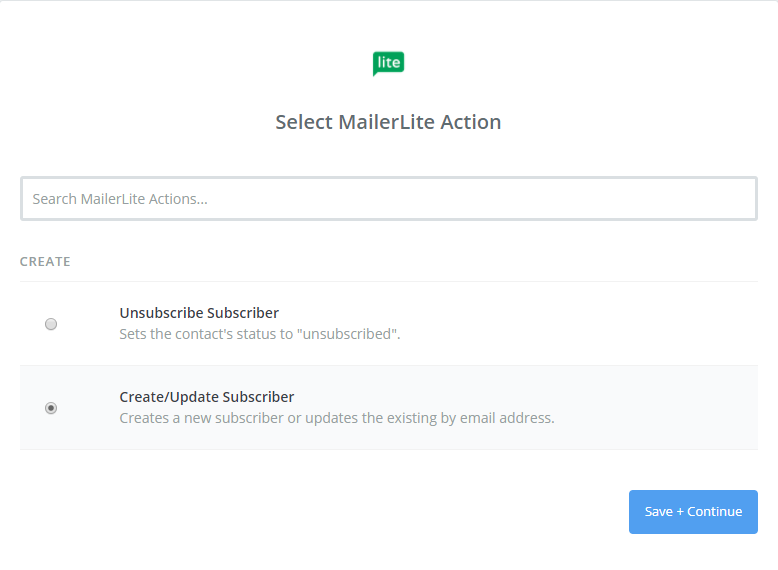 Now go to the Elementor page on your website, send a test form submission, and go to MailerLite to make sure that the new submission was added correctly.